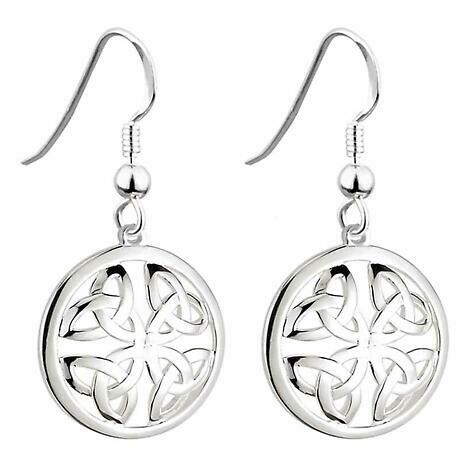 A pair of Sterling Silver Irish Earrings filled with class and a burst of color. 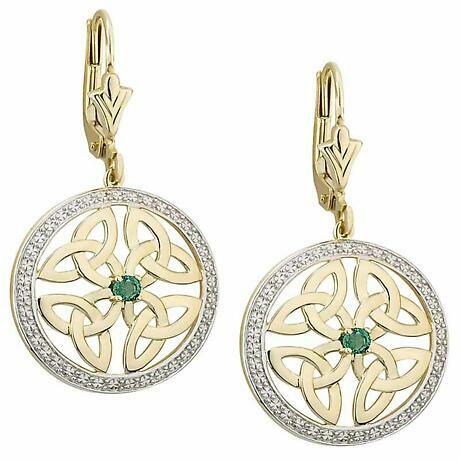 Four Celtic Trinity Knots encircled by sparkling crystals and an emerald green crystal at its center. 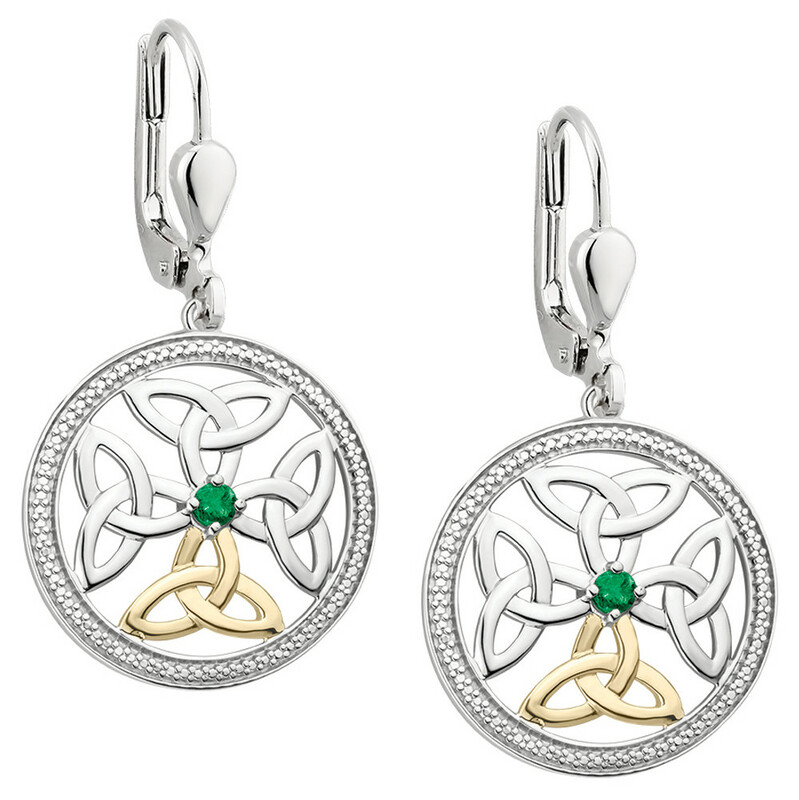 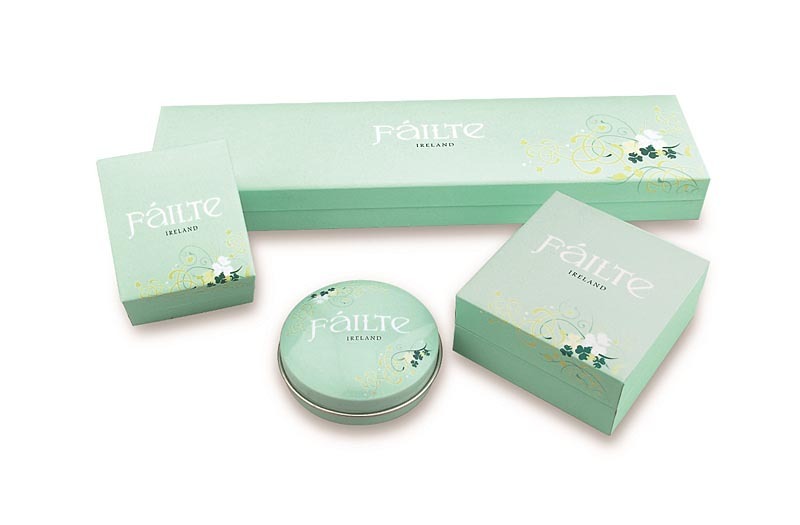 Like the circle, this Celtic Knot has neither beginning nor end, making it the ideal symbol of the everlasting. 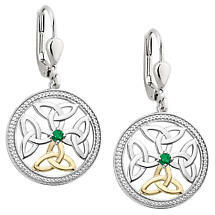 This piece looks great and makes a perfect gift representing eternal Love, Faith or Friendship.